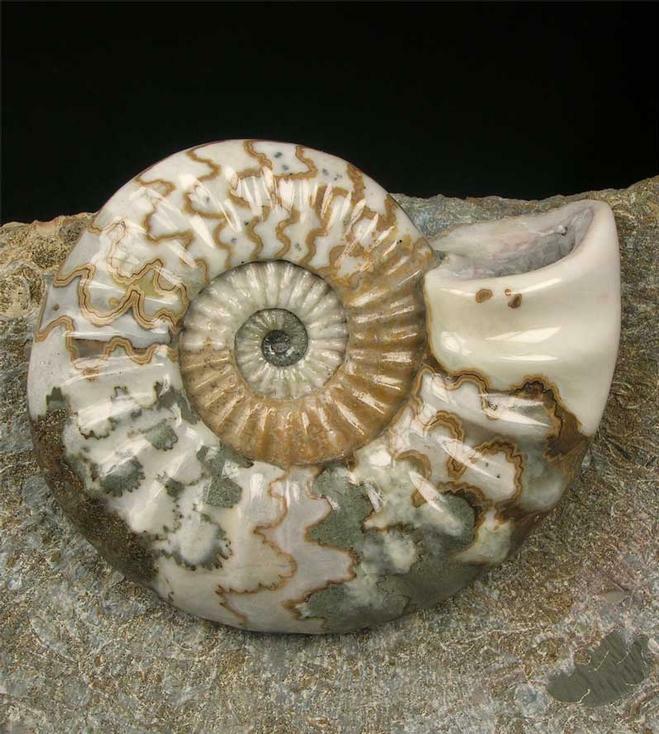 A superb ammonite which has had many hours of preparation spent on it. 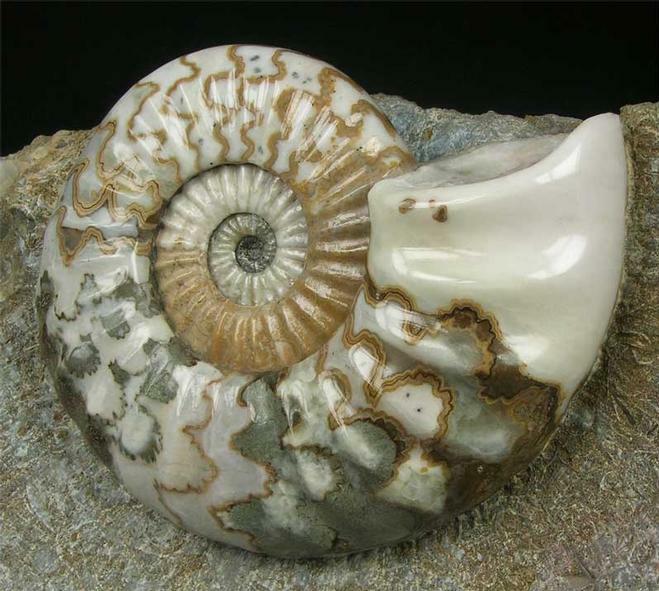 The ammonite has been preserved in solid Calcite and the detail and colours are magnificent ranging from greens, pinks, white and browns. 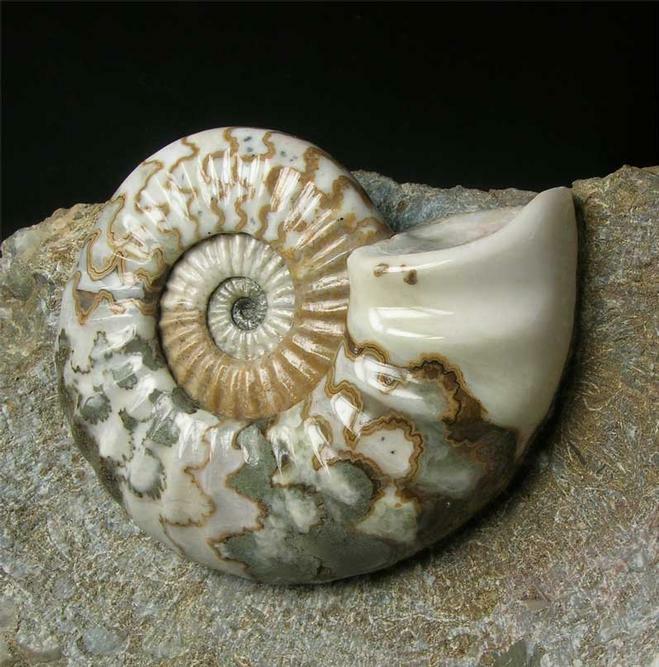 Scunthorpe ammonites are amongst the most desired fossils in the world. All the quarries where they came from have long since closed down and been filled in or flooded and so these fossils are very rare to obtain thesedays. The ammonite's centre is very good which is unusual for Scunthorpe ammonites. 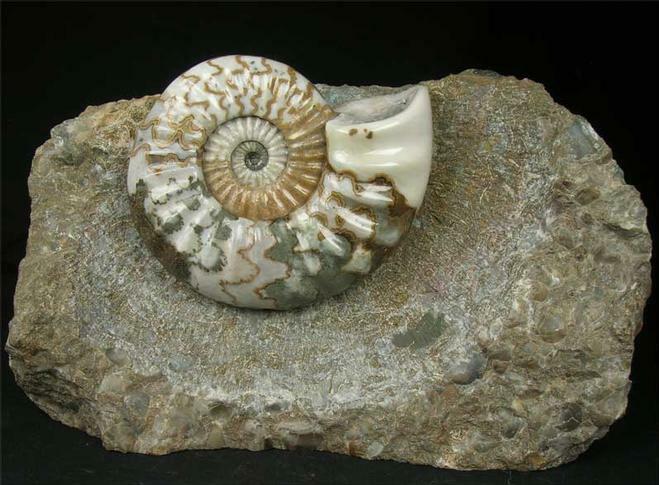 A truly lovely display fossil for either the collector or indeed an interior designer. There is an anti-scratch pad attached to the matrix base for peace of mind when displaying on furniture. Approximately 200 million years old.